On 21 February 2013 – Anti-Ghost Moon Ray present a label showcase at the Roundhouse in Camden, London for Roundhouse Rising 2013. There will be four live sets by Gazelle Twin, Bernholz, Great Pagans and Acquaintance, plus a sonic installation by the collective as a whole. We welcome Eyes On The Wall who will be doing bespoke visuals for us on the night. 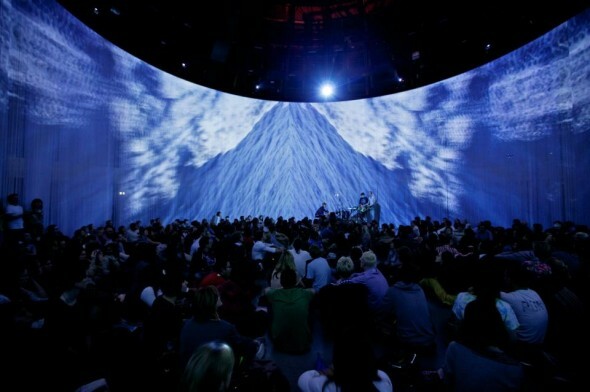 Photo: Eyes On The Wall at Roundhouse 2011.